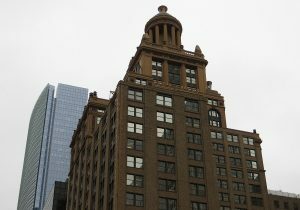 Contrarian Capital and Cameron Management, owners of the Esperson buildings in downtown Houston, secured $52.8 million in refinancing for the 600,000-square-foot historic site that was listed for sale but later taken off the market. MetLife Investment Management provided the loan, replacing the maturing debt on the buildings at 808 Travis St. and 815 Walker St. In addition to House, the ownership group was also represented by JLL Executive Managing Director Tom Melody, Senior Vice President John Ream and Associate Connor Harrell. Since acquiring the Esperson buildings in 2012, Greenwich, Connecticut-based Contrarian and Houston’s Cameron have completed about $11 million in capital improvements at the 32-story Niels Esperson building, built in 1927, and the 19-story Mellie Esperson building, completed in 1941. The improvements updated historic finishes and renovated the buildings’ connection to Houston’s tunnel system spanning 95 city blocks 20 feet below street level. The improvement project appears to have had the desired effect. The vacancy rate was 40 percent when it was acquired but has improved to roughly 70 percent, according to CoStar data. The building features a mix of tenants from energy, law and banking sectors. No single industry accounts for more than 20 percent of the tenant base. Real estate advisory firm Holliday Fenoglio Fowler marketed the buildings for sale in June 2017 but removed the listing. Investment interest has been tepid in Houston’s central business district, with fewer than 10 sales taking place in 2017, according to CoStar data. HFF did not immediately return requests for comment.